Romeo & Juliet, aka ROMIL AND JUGAL. 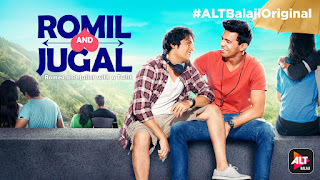 Ekta Kapoor's ALTBalaji smashes it out of the park with the trailer of ROMIL AND JUGAL! The endearing trailer of a classic love story served with a twist, ROMIL AND JUGAL is finally here! The same was uploaded on all social media platforms of ALTBalaji this morning and is probably one of the most adorable love stories you have seen! A series to watch out for, the trailer surely exemplifies that Love Transcends Gender ! Displaying the real Romeo and Juliet with a dash of masala is the whole idea of the narrative. ALTBalaji brings to you a show which surpasses all and is progressive with today's progressive times. With a twist or two ofcourse. And no it’s not a tragedy! So what exactly is ROMIL AND JUGAL about? Who are they? How do they apply to Romeo & Juliet other than their initials ofcourse. ROMIL AND JUGAL is an emotional love story of these two boys grappling with intense, forbidden love. The protagonists study in 2nd year of college who come from very different backgrounds, communities, languages. Jugal is well aware that he is gay but has not yet come out of the closet where as Romil is a sports loving gym rat, a young 19 year old in denial of his sexuality. But what happens when their fighting families and orthodox society find out? Watch the trailer (links below) and keep guessing. Or better yet, download the app and watch it all unravel on the 16th of April! Touted to be the greatest love story of the next gen, this young and never-seen-before rom-com version is filled with emotion , laughter, songs, drama and superb acting that is guaranteed to leave you hooked for more! 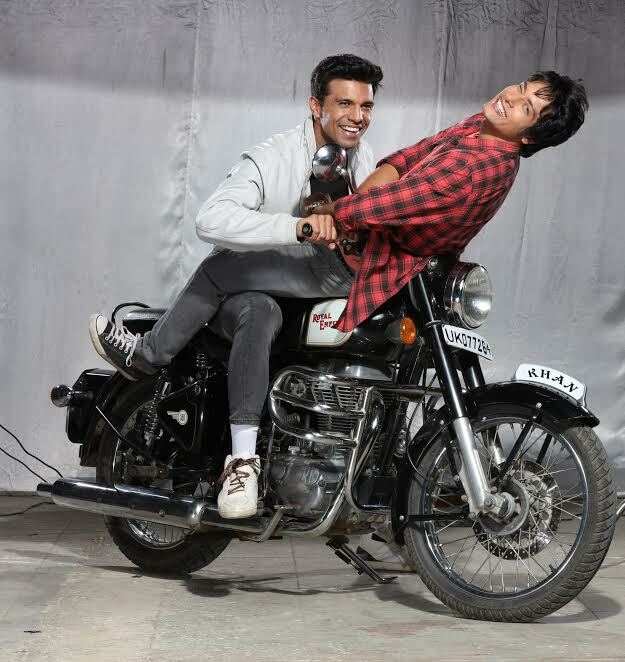 Directed by the talented Nupur Asthana who helms from Yash Raj Films (Director of Bewakoofiyan, Hip Hip Hurray), Manraj Singh plays the endearing character of Jugal while Romil 's role is essayed by Rajeev Siddhartha. ROMIL AND JUGAL also stars Suchitra Pillai, Manini Mishra (De), Mandira Bedi, Vritika Ramnani, Shrishti, Harsh, Kenny Desai, Bhuvneshwar, Mudita and Divina in pivotal roles. ROMIL AND JUGAL will be streaming from 16th April, 2017 on ALTBalaji. High res images of the Posters as well as clean images are duly attached for your reference. Also find attached, a detailed note on ALTBalaji.